YAY! I've been trying to obtain all four books in the series since like..last year! The only book I'm missing now, is The Iron Queen! This has been described as "Rebecca meets Gossip Girl" - I'm not sure if "Rebecca" is a book/movie/show/ or some famous person I'm not aware of, but anything similar to GOSSIP GIRL? I'm definitely in! I won't be reading this series unfortunately, so if any Aussies want it, tell me! Oohh this one sounds AMAZING. Plus it's an Aussie YA :) "A psychopath... an empath... a genius. " How can you not want to read it after that? This is definitely one of my most anticipated 2012 books :) It seems ALL the publicists at S&S LOVED it - I hope I will too! I read this as soon as I received it - IT WAS FREAKING FABULOUS! Trust Armentrout to write a sequel that surpasses the epicness of the first! Now I'm literally DESPERATE for Deity! What lovely goodies did you receive this week :) Leave a link below! 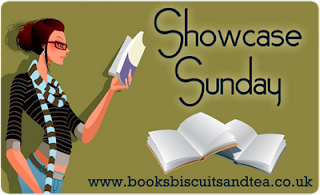 Check out my Showcase Sunday! What a whole load of AWESOME books! Insurgent is so, so, so, SO amazing! :) I know that you're going to enjoy all of these! Ahh, I totally would be up for a swap of Insurgent if my pre-order wasn't on it's way already. Where is your swap list btw?? That's one mighty book haul. Oooh so many awesome books! :) I absolutely loved the Iron Fey series! Haha Iron Daughter is the only book I'm missing, I have the rest *steals your copy* Yay for The Industry, I loved it too. Can't wait for the sequel. AHHH DISHARMONY! I'm going to start reading that tomorrow. I'm hoping it will be freaking AWESOME because hello, psychopath? It's like it was written for me. SO. 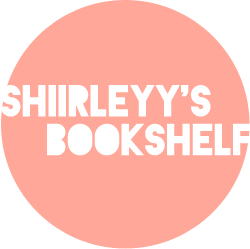 SHIRLEY. YOUR MAILBOX. HAS LOTS OF YUMMIES. YOU BEST BE ENJOYING THEM. SHIRLEY!! How do you have two copies of Insurgent when I don't even have one yet?? This is seriously unfairness to the max LOL x) BUT if anyone had to get two copies, I think it definitely deserves to be you because 1) You're awesome! and 2) You write amazing reviews! and 3) You're SO incredibly awesome! <3 :') I have a copy of Fated by Alyson Noel too and I've tried to get into it multiple times but failed -- there's just something about her writing that I can't stomach and I don't know why. But the rest of your mailbox is gorgeous too, and I hope you enjoy them all! TWO copies of Insurgent? AJGLAFG! Maybe one's for reading, and on'e for hugging, and clutching to yourself as you sleep? heheheh! Very nice! How on earth did you end up with 2 Insurgents? I still need to read the first book myself, it's on the massive TBR pile along with a million other awesome must reads! Hope you enjoy the rest of your haul! Dude, I'm STILL COLLECTING the Iron Fey series!!! That's my excuse on the matter. :P I also have heaps of books I haven't read that if I were to tell you which series/books you'd definitely smack me around more. For example, I have not read a Cassie Clare book. Eeee! I'm so glad you loved Pure too! It was amazing, right? Roll on Deity! ;) Awesome haul this week Shirley. I got myself a copy of When You Were Mine too and hope it doesn't leave me disappointed. I'm looking forward to hearing what you think of it! Have a lovely day! LOLLLL do you have space on your bookshelf to keep it?! XD Ask your friends first (just remind them that they need to read DIVERGENT first! Otherwise they'd be all OMG WHO IS THIS REALLY HOT FOUR GUY?!). Maybe host a giveaway? UP TO YOU BB. INSURGENT!!!! YOU FINALLY GOT IT!!! HOOOOOORRRRAAAAAAYYYY!!! SO HAPPY FOR YOU! Can't wait for you to read it! I got Whisper as well but don't think I'll read it. I never read the first book in the series and although I did read The Immortals series, I'm not really interested in reading Riley Bloom's books. The Industry's finished copy is so cool! I like how the codes formed the girl's face! Disharmony! Got a copy of that book too and SO EXCITED to read it! I watched the book trailer recently and it sounds really cool! When You Were Mine! Well, you know what I think of this book from our Twitter convos but I can't wait to hear your thoughts on the book! Fated! I was very excited to read Fated since I really enjoyed The Immortals series but I ended up not really enjoying it as much as I thought I would. The cover is really gorgeous though! PURE! Oh geez, I need to start reading Half-Blood soon. The book's been on my shelf for ages and I still have yet to read it! I read Pure this week recently, too, and I have to agree!! It was incredible!! Want to read many of these..Insurgent (after I read Divergent lol), When You Were Mine, Fated...they all look great! I just read your review/overall thoughts on Goodreads! I'm glad you liked it so much :) I'm so scared to finish it now since it sounds like there's going to be a killer ending! Whoaa Cass! YOU HAVEN'T READ THE IRON FEY SERIES?!?!?! SERIOUSLY? First Brodie, then Lisa, and now you! GO READ IT!!!!!! HAHAHHAHAHAA Um....I DON'T KNOW. If I can't find someone to give it to/swap...then maybe a giveaway? Or ask around my school and be like "DOES ANYONE WANT INSURGENT- IT'S POSSIBLY ONE OF THE BEST 2012 BOOKS!" Or maybe donate it to my school library? Or...keep the extra copy in case I accidentally lose one? Pshhh I DON'T KNOW! HAHAHAHAHA You know only the first two lines & the last line showed up in the email I received from disquis...and I was like "Errr....yess...you're totally enthusiastic :S" and then I saw the ENTIRE comment on my blog and I was like "WHOAAA. LISA REALLY IS ENTHUSIASTIC TODAY"
Great haul this week - I think I must be the only person who hasn't read Divergent yet!! The Hunt does sound amazing - I'm hopefully that it will match the early reviews!! OMG! The Iron Fey series.. LOVE <33 I hate you a little. You have two copies of Insurgent and I have none. I'm going to murder whoever's working at the HC warehouse LOL! I hate getting unsolicited books that are part of a series… Yay for The Industry! I won Erin's giveaway so Monday…? :D OMG DISHARMONY I WANT *steals* Looks gorgeous and so so amazing. *fangirl* Fated reviews are SO mixed. Let's hold hands and do it together? LMAO. *hides* I'm quite excited about When You Were Mine now….I've seen some good reviews :) Hopefully it's got a happy ending! I'm angry at myself for not requesting The Hunt. I blame the dodgy reviews that were on Goodreads… >____< OMGOMGOMGPURE!!!!!! *attacks* So happy you loved. AWESOME RIGHT? SETH!! .... *stares at comment* Errm. I'm enthusiastic today..? Well I didn't get any copies of Insurgent for review. Just finished reading my preorder today. :) I've also got Fated, Whisper (also not reading this series) and Disharmony. Where You Were Mine sounds interesting, though I've read some mixed reviews so far. I really need to collect the Iron Fey books too (I have King & Knight) Enjoy!! LMAO. You and your two copies of Insurgent. XD WHAT ARE YOU EVER GOING TO DO WITH THEM. FABULOUS books m'dear! I'm very jealous. The Hunt sounds like it's going to be AMAZING. Oh I need to read Pure! It sounds absolutely fantastic. OHHH Aussie YA? Okay. I definitely need to grab Disharmony as soon as I see it in the stores. <3 THAT SOUNDS SO DAMN GOOD!